The Freed Thinker Podcast Episode 2!!! The second episode of The Freed Thinker Podcast is now available on itunes! Today we explore some basic philosophical terms and concepts that will help us in later discussions. 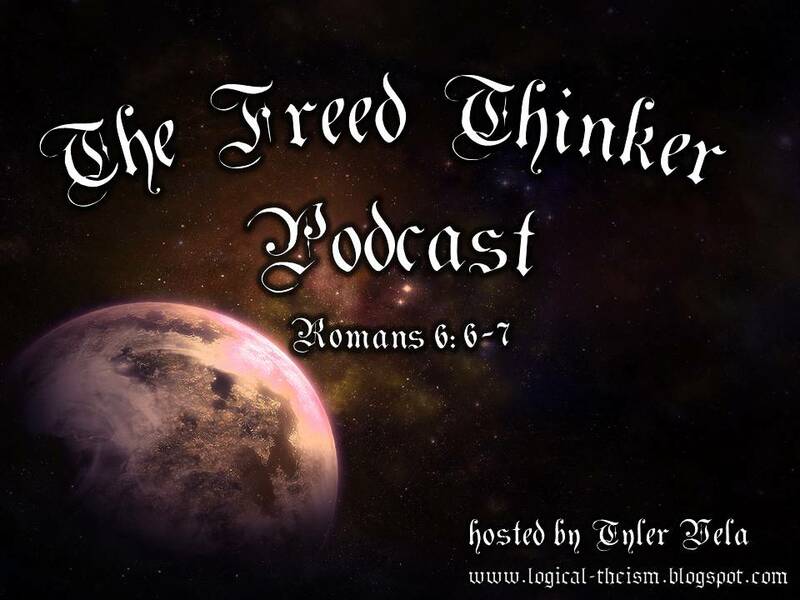 Search for The Freed Thinker Podcast on itunes or upload it from the feed! Click it! Subscribe it! love it! UPDATE!!!! The Freed Thinker Podcast is now available on Itunes!!! Just go to the Itunes store and search for Freed Thinker and BAM! There it is! Click it! Subscribe it! Love it! Yes the time is finally here! After years of encouragement I have finally buckled to pressure and started The Freed Thinker Podcast! The first series will be a me teaching through about a full semester's worth of material on Apologetics and the New Atheism and I am super excited to make this a VIDEO podcast with the slides and all. This does mean that I need to work a little harder on the production end of it but I hope that this will be rewarding to all of you who decide to follow it!